Power is an important, yet unfortunately overlooked, element of video surveillance systems. While power is relatively inexpensive, mistakes in designing, supplying and backing up power can cause significant reliability problems. Many of the most common service problems can be traced back to issues (or flat out errors) with specifying and planning power for video surveillance. When power is commonly discussed in the industry, the focus is on Power over Ethernet (as if PoE is the one key issue). Though PoE is important, many times it cannot be used and, even if it used, it does not eliminate the other issues involved in powering surveillance systems. AC vs DC is a fundamental distinction in power transmission. 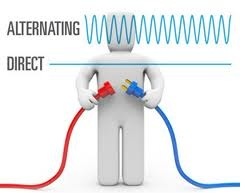 Alternating current, or AC, periodically changes phase (reverses direction). Common in the security industry and for high voltage applications, it can be stepped up and down to differing voltages much easier than DC. By contrast, Direct current is a unidirectional flow of electricity, common in low-voltage applications. Batteries and solar cells only provide DC voltage and must be inverted if AC is needed. Watt: a unit of power, the rate at which electrical energy is converted into usable force. Also used frequently are Milliamps, notated as mA, equal to one one-thousandth of an Amp. Many, if not most, cameras offer a choice between 24VAC and 12VDC. The biggest determining factor between them is distance. For short distances, perhaps 100’ and below, 12 volts is acceptable. Beyond that, voltage drop becomes too great and the camera cannot be powered. This is where 24VAC comes in. Doubling the voltage halves the current carried and reduces voltage drop accordingly. So if a camera is rated at 9W, at 12VDC, it would consume .75 amps, or 750 milliamps, of current. In a 100’ run on 18 AWG wire, this results in approximately 1 volt loss. 24VAC, however, reduces that current to .375 A, resulting in only .5 volt loss. For this reason, 24VAC power supplies are typically used, instead of 12VDC. Note, even if using cameras that only accept 12VDC, 24VAC power supplies may still be used to avoid distance limitations, through the use of voltage regulators (such as the Altronix VR1). These devices convert 24VAC power to 12VDC at the camera. Voltage + Current, e.g., 24VAC @ 4A: Often seen in power supply specs, this tells us the output voltage and total current supplied. Power, e.g., 9W: Typically this will be seen on camera specs, along with the supported voltage or voltages. Using this, and the above 9W example, we’d see that this camera consumes .75 amps, or 750 milliamps, at 12VDC (A=9/12=3/4=.75), and .375 amps, or 375 milliamps, at 24VAC (A=9/24=3/8=.375). This conversion becomes important when calculating our power budget, covered later in this report. If using a low-voltage power supply: The power supply’s total supply current, in Amps and the power supply’s max current per output. This is the rating of the fuse or PTC (explained below) on each output. 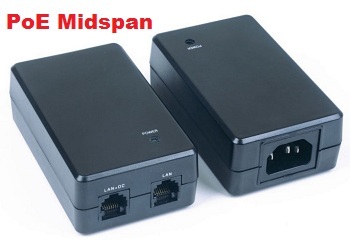 If using a PoE switch or midspan: The switch or midspan’s total PoE capacity. The camera’s (and other devices) power consumption figures. Note that occasionally, you may see “measured” and “max” or “rated” power consumption figures. It is recommended that “max” be used, as this is worst-case and allows for more headroom in calculations. As long as the total current consumption of the cameras and other devices being used does not exceed the total current capacity of the power source, and individual output overcurrent protection ratings, the power supply will function properly. Example 1: Using Sony SNCCH140 HD cameras as an example, which consume 9 watts each -- 750mA @ 12VDC or 375mA @ 24VAC. If we are using an Altronix R615DC1016, we could not fully load this power supply with 16 cameras, as our total current would be 12A (.75A*16), and the power supply is rated for only 10A. Example 2: Using the same cameras as above, however, we could use an Altronix R2416UL, which supplies 7A @ 24VAC, since our total would be .375A*16 or 6A. The load on each power supply output is also well below the fuse’s rating, so will present no problem. Example 3: Using Sony SNCRH164 HD PTZ cameras, and an Altronix ALTV244300UL power supply, we can power three cameras before we exceed the power supply’s maximum supply current. Each camera consumes 80W, which equates to 3.33A @ 24VAC. This figure is below the fuse rating of 3.5A. However, with a total supply current of 12.5A, only three of the outputs may be used -- a total of approximately 10A -- as running four of these cameras would require over 13A. Example 4: Using Sony SNCCH210 HD cameras, and a Cisco SRW208P switch, we could power eight cameras, as the camera consumes only 3W (Class 1 PoE). The switch is able to supply 7.5W across all ports, so this setup will perform just fine. Example 5: Using the same switch as above, but Axis P3344-VE cameras, we could only supply PoE to four of these cameras before exceeding power budget, as the switch will supply 15W of power to up to four cameras. Most IP video surveillance systems today use PoE, supplying power over the same Ethernet cable used to pass data between the camera or other device, and a switch. Two options for delivering this exist: midspan and endspan. Endspans build the PoE supply directly into the switch, making for an all-in-one installation. Midspans introduce an additional component between the switch and the camera. Cables are patched from switch to midspan, and from the midspan on to the camera. Midspans are often used in retrofit applications when existing switches are being used, and PoE switches are more often used in new applications. PoE is defined in two IEEE standards, 802.3af-2003 and 802.3at-2009. The former, 802.3af, specifies power of up to 12.95W be available at the endpoint device, at a minimum of 44VDC. The newer standard, 802.3at, also known as PoE+ or PoE Plus, specifies up to 25.50W at the powered device. There are products on the market which will supply more power, in some cases almost 100W, but these do not adhere to 802.3 standards. The PoE+ standard and proprietary products offering more power than standard PoE are attractive as they allow a wider variety of more power-hungry devices to draw power via a single cable. PTZ’s and exterior camera housings equipped with heaters and blowers typically may not be powered from a PoE or, in most cases, a PoE+ switch or midspan. This requires an additional cable be run and a separate power supply be installed, which may be cost prohibitive. Use of heater/blowers in outdoor cameras is the most common situation requiring a standalone power supply in IP surveillance. Fixed outdoor cameras often require 20-30W of power, and PTZ cameras may require 60-90W. Current requirements of this level are not possible with standard PoE nor typical multiple-output power supplies. In older installations, analog cameras were often powered by transformers local to the camera, so when replacing them with IP it may be preferable to maintain local power, allowing the use of a lower-cost, non-PoE switch. When using Ethernet-over-coax or fiber media converters, the camera will require a separate power supply, since neither of these cable types will typically carry necessary power. When using IR illuminators, a separate power supply is typically required. While Raytec and others have developed illuminators which accept PoE power, this is not generally desirable unless using a PoE midspan, as it consumes a port which may otherwise be used for data. If the PoE switch in use has extra available power, or a midspan is being used, PoE illuminators may make good sense, but range on PoE illuminators is limited to about 100’, or 200’ utilizing HiPoE. Note that many high-intensity IR illuminators will require 120-240 VAC power, not low-voltage. Since most installations consist of mulltiple camera, multi-output power supplies are generally used. These units are available in either wall-mount or rack-mount configurations. Most often, if a recorder is being mounted in a rack, the power supply will be rack-mounted with it, to reduce cabling complexity. If the recorder is a desktop form factor, the power supply will typically be wall-mounted, often above the ceiling for better aesthetics. The number of outputs on these power supplies are most often in multiples of four, a practice resulting from their use in conjunction with DVRs, which most commonly featured 4, 8, 16, or 32 inputs. Prices range from about $30 for a 4-output wall-mount power supply to $300 or more for a 32-output rack-mount unit (pricing from Google). Low-voltage power supplies are also available in a single-output plug-in "wall wart" style. This form factor is rarely used in multiple camera installations these days, but may still be used in retrofits, or low camera count systems. Powering more than a few cameras from one location with single-output power supplies greatly increases the number of AC outlets required, so is not recommended. 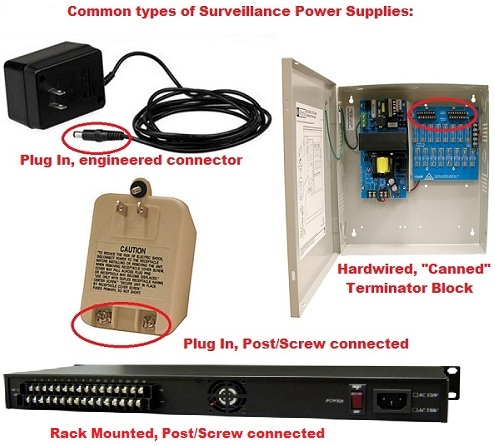 Larger, most times hardwired, single-output power supplies are often used with outdoor cameras equipped with heater/blowers and/or PTZ cameras. Prices of single output power supplies range from about $5 for a 24VAC plug-in transformer to $80 for a hardwired 4A enclosure. Another consideration for both single- and multi-output power supplies is whether they will be located indoors or out. Outdoor power supplies are built with components capable of withstanding large fluctuations in temperature and humidity, and are typically housed in a weatherproof NEMA enclosure. These enclosures may be mounted directly on a pole with pole-mounted cameras, for example, with no other enclosure needed. The ability to install these power supplies directly in the elements typically adds $50-100 dollars to the cost of a unit. 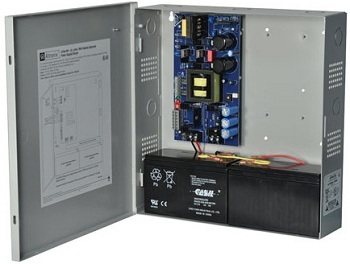 Aside from connecting camera power supplies to building emergency power circuits, power supplies may be backed up in one of two ways: connected to a UPS or with an built in battery. The power supply may simply be connected to a UPS along with other equipment. This arrangement is practical and manageable when only the surveillance equipment is attached. Runtime may be calculated and easily predicted if we know how much current each components will consume. However, if shared with other systems and a common UPS, runtime predictability is reduced without good communication between all parties sharing that space. Where the security system designer expected two hours of backup power when the system was first designed and installed, other departments plugging a new switch or two, or some A/V equipment into the UPS reduces the amount of available power to the surveillance system, in turn reducing runtime on power failure. Power supplies with dedicated battery backup are becoming more prevalent. Use of dedicated battery backup avoids the aforementioned scenario and increases predictability of system runtime. See the Altronix ReServ line (about $250 online) or Alpha Micro Secure Series 100 ($700+ online) for examples. These power supplies allow necessary backup power to be calculated based only on what is attached to the power supply. However, although the power supply is battery-backed, the recording equipment and peripheral gear will still require backup of some sort, most often a UPS. This arrangement results in multiple connection points and differing runtime on power failure, neither of which are preferred. In cases where camera power supplies are remotely located, battery backup of the power supply is preferable to installation of a UPS. 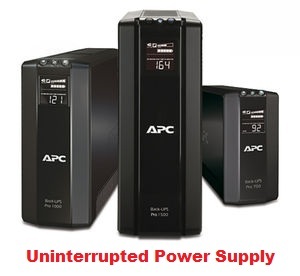 It results in fewer components and connection points, and a low-voltage power supply/charger plus batteries are almost lower-cost than a UPS with the same runtime capacity. The amount of backup runtime which is specified in any given application is a matter of preference and requirements for the specific system. At the very least, backup is strongly recommended for general power conditioning and elimination of spikes and sags. A short period of backup also allows servers to shutdown gracefully, which reduces the chance of errors due to forced shutdowns, which may corrupt databases and configuration files. Preferably, if budget allows, it is preferred to supply at least 1-2 hours of backup runtime, enough to ride out short losses in power without any interruption of system operation. One final consideration is overcurrent protection. This prevents the attached camera or other device from being damaged should a cable come in contact with high voltage wiring. The first type of overcurrent protection, the Positive Temperature Coefficient Resistor, is similar to a circuit breaker. As current flowing through the PTC increases, its temperature rises, which causes a dramatic increase in resistance, effectively opening the circuit. As the PTC cools, the circuit is once again closed. The second, and most common type of protection is the fuse, which consists of a thin metal strip or wire that simply melts when current is too great. While PTCs are convenient in that they reset themselves when the overcurrent condition is removed, they may be highly inaccurate and slow to trip, and not protect the connected device. Fuses, on the other hand, will always blow at the intended voltage, almost guaranteeing attached equipment is protected. They are sacrificial, however, and will always require manual intervention to restore power. We recommend fuses to generally be used for camera equipment. PTC’s will reset themselves, but before doing so, a service call will almost always be generated, as the cooldown period is not instant, and many times the fault condition that caused it will exist until a service tech remedies the situation. Given the potentially high risk of an inaccurate PTC not protecting an expensive camera, the argument that it will reset itself and not require a service call becomes much weaker, and I prefer the guaranteed of protection of the fuse every time.